Though most parents know the basics of children’s dental care, San Diego dentists continue to see cavities in young children. When a child is old enough to brush his own teeth, an adult should go over them after the child finishes to make sure they are clean. Most children thoroughly clean the chewing surfaces, but often fail to clean the backsides and gumline. Consult the child-friendly staff at Marcos Ortega DDS about dental sealants. To schedule a dental pediatric consultation, call Dr. Marcos Ortega at 619-295-4545. 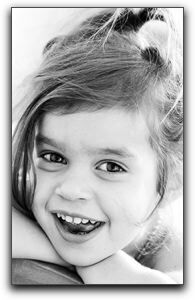 I provide San Diego area dental care for children and families.